If one of your resolutions for 2018 is to explore what the Austin arts community has to offer, you are in luck. There are dozens of organizations offering hundreds of events, performances, exhibits, and activities throughout the year that will be just the thing to up your “cultural cred.” Best of all, many events and activities are free and open to the public. Before you know it, you will be reciting passages from the Bard to the astonishment of your colleagues and friends. Without question one of the most ambitious undertakings in the history of Austin’s arts community, the celebration of Leonard Bernstein’s 100th birthday was conceived of and spearheaded by Austin Symphony Orchestra maestro Peter Bay. Bernstein 100 Austin is the cultural event of the year not to be missed. Six months of events will culminate in two performances of Bernstein’s masterpiece, MASS, a spectacular piece fusing choral music, instrumental music, and dance originally commissioned by Jacqueline Kennedy in 1971 for the opening of the Kennedy Center. Bay will bring together over 300 performers in a grand collaboration of arts organizations including Austin Symphony Orchestra, Conspirare, Ballet Austin, Austin Opera, Austin Children’s Choir, Chorus Austin, UT Marching Band, Panoramic Voices, and the African Children’s Choir. What to know: Tickets go on sale January 7 for the June 29 and June 30 shows. This is certain to be a sell-out so buy your tickets soon. For a full list of events, go here. Impress your friends with your knowledge of Leonard Bernstein when you join the kick off for Bernstein 100 Austin with activities from noon- 5 pm. This family-friendly event will feature music, dancing, and birthday treats plus a performance by the Zach Theatre pre-professional program. What to know: Tickets to the MASS dress rehearsal on June 27 will be given to attendees of the kick-off celebration. Austin is fortunate to be home to one of the most creative and imaginative dance companies in the world: Blue Lapis Light. Founded and choreographed by the incredible Sally Jacques, these aerial dance performances have thrilled Austinites since 2005 with breathtaking performances on the Long Center Terrace, the shell of the former Intel Building, the Seaholm Power Plant, J.J. Pickle and Homer Thornberry federal buildings, the Bullock, and the Hyatt and Radisson hotels. 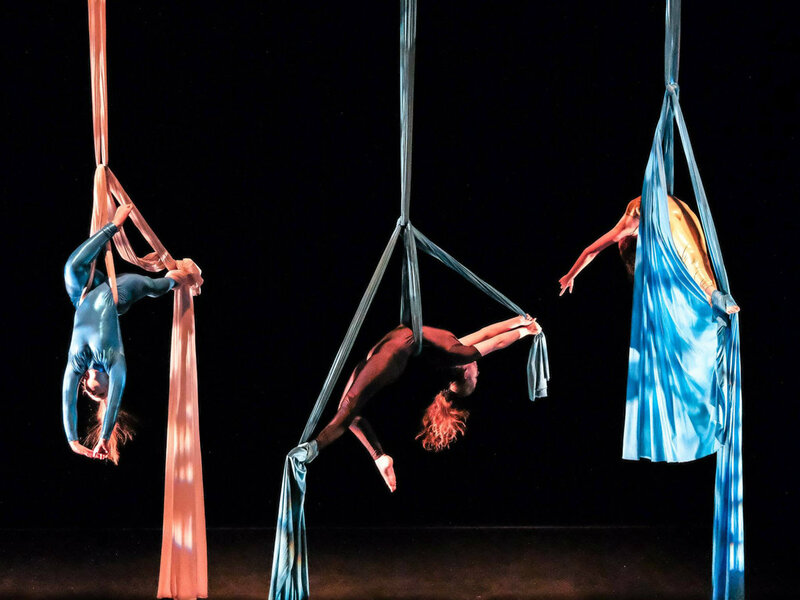 Held at the Boyd Vance Theater at the Carver Museum and Cultural Center, Finespun Balance will showcase Blue Lapis Light students as they perform original aerial silk pieces set to music ranging from Poison to Strauss. What to know: The January 10 dress rehearsal is free and open to the public. Whether you're a multi-generation Texan, or just got here as fast as you could, everyone wants to learn more about this great state we call home. On the first Sunday of every month, San Antonio grocery giant H-E-B generously makes it possible to explore all three floors of the Bullock Texas State History Museum for free. The exhibits, which range in subject, are all geared towards one theme, “The Story of Texas." What to know: Special activities geared toward families are held from noon to 3 pm on the first Sunday of the month. Also, the Bullock is home to a terrific IMAX theater. What better way to dive in to the sometimes intimidating plays of the Bard than reading them with others? Brought to you by Austin Shakespeare, the group reads an entire play aloud (one act per week) while stopping to chat about images, characters, story line, and anything else of interest to the group. Open to all ages; $5 per session. This classic story by Russian playwright Anton Chekhov comes to The Long Center for the Performing Arts. What to know: If you're on a budget, $18 tickets to the preview on February 7 are available. Shakespeare in Zilker Park returns for its 34th season at the Beverly S. Sheffield Zilker Hillside Theatre. Bring a blanket and picnic under the stars as you watch Falstaff take on the clever women of Windsor ... Texas. What to know: This event is free and open to the public. If you fancy yourself a bibliophile, a visit to the Lake Flato-designed Austin Central Library is a must. With 200,000 square feet spread over six floors housing literally acres and acres of books, the library also includes stunning architecture, a gift shop and (soon-to-open) café, a soaring atrium, and a rooftop garden with a spectacular view of the city and Lady Bird Lake. Take advantage of the many programs offered to the community free of charge. What to know: The first Mayor's Book Club of 2018 will be held on January 25 at 6 pm. Writers Osama Alomar (The Teeth of the Comb) and Wendy Pearlman (We Crossed a Bridge and It Trembled) will read their work and participate in an audience discussion. "Fotographia y Nuevos Medios" is a new exhibition featuring work from the Mexic-Arte Museum's incredible photography and new media collection. Featuring an array of the museum’s diverse collection the exhibit included everything from traditional photography to a variety of experimental forms from artists Jesse Herrera, Joel Salcido, Paul Valdez, Jamie Alvarez, and more. What to know: Mexic-Arte is one of the few Mexican art museums in the United States. The Austin Classical Guitar Society is a world-class organization, and the performers they bring to Austin are simply stellar. In a town with a reputation for live music, this organization goes to the next level to educate about and advocate for its genre. Learn about the music and the artists at the pre-concert talks or enjoy intimate concerts offered throughout the year. Upcoming performances include Ioana Gandrabur, an internationally acclaimed Romanian guitarist performing for the first time in Austin on January 27. What to know: Performances are held throughout the year at various private locations and the Cactus Café on the University of Texas campus. For a full list of performances, go here. Combine a romantic Italianate villa overlooking the banks of Lake Austin, nature trails, flowering shrubs, and lush landscaping and you have the historic Laguna Gloria. Built in 1916 by Clara Driscoll, the woman who almost single-handedly saved the Alamo, she donated the beautiful villa to the Texas Fine Arts Association in 1943. 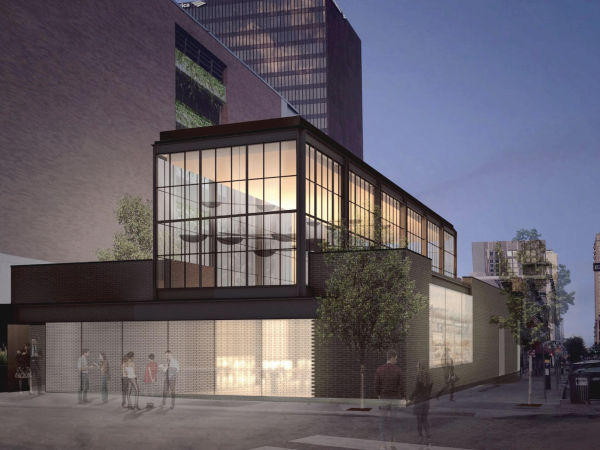 It went on to become the first Austin Museum of Art and is now part of the Contemporary Austin. Among the attractions is a sculpture garden featuring an iconic work from Charles Umlauf and a contemporary masterpiece by Ai WeiWei. What to know: Drop-in tours are available the first Sunday of every month at 1 pm. If you have never experienced opera, La Traviata is a great way to begin. One of the most performed operas of all time, Verdi’s classic tale has it all — a tragic heroine destined to die, a handsome love interest, an evil baron who ruins everything — accompanied by a memorable score and beautiful costumes. What to know: The Austin Opera also offers free Opera Overtures lectures prior to performances, and Urban Nites, a social club which promotes networking and education at the Thursday night performances. Urban Nite tickets include a pre-show reception at the Kodosky Lounge with complimentary wine and hors d’oeuvres, as well as premier seating for the performance.